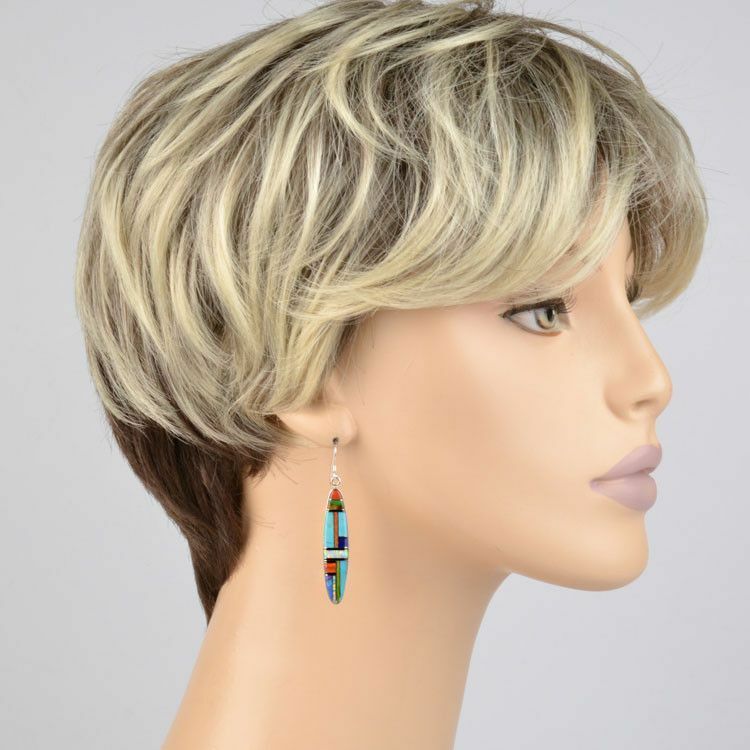 These colorful earrings feature a variety of inlaid gemstones (turquoise, opal, lapis, spiny oyster shell) in sterling silver. 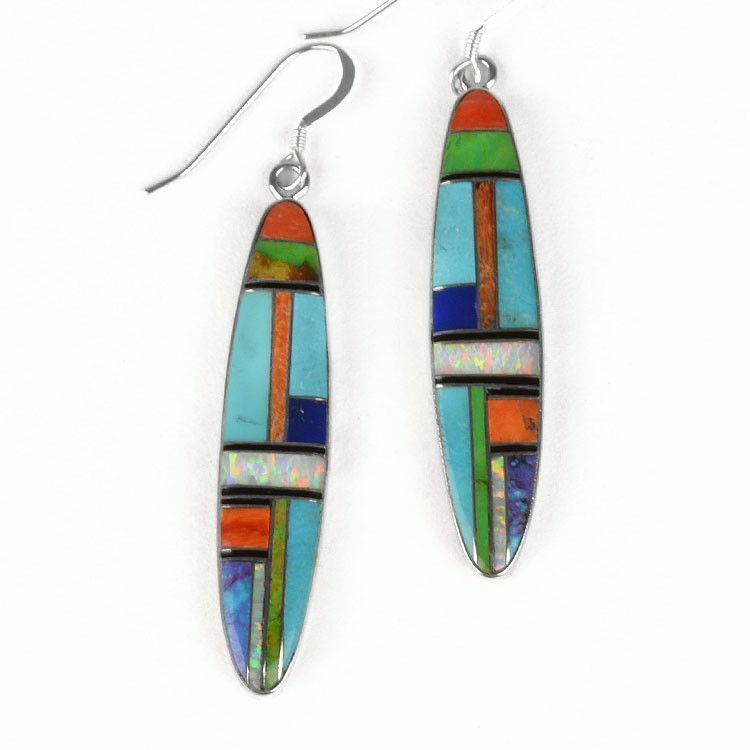 The Southwest style of these 2 1/4" long earrings is due to the traditional Zuni mosaic style wherein the silver settings is crafted first then the stones are cut to fit the pattern created by silver channels. 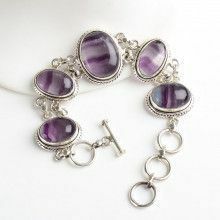 Elongated oval gemstone area is approximately 1 3/4" long. 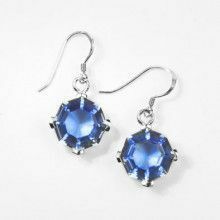 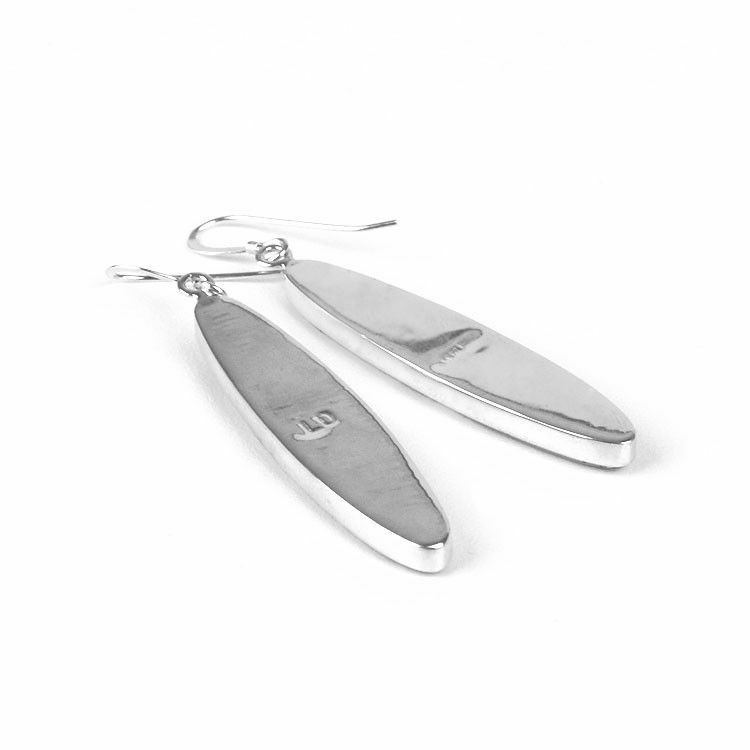 Simple hooks complete these lovely earrings.